Yes, I’m using the Anubis track and car for this ride. 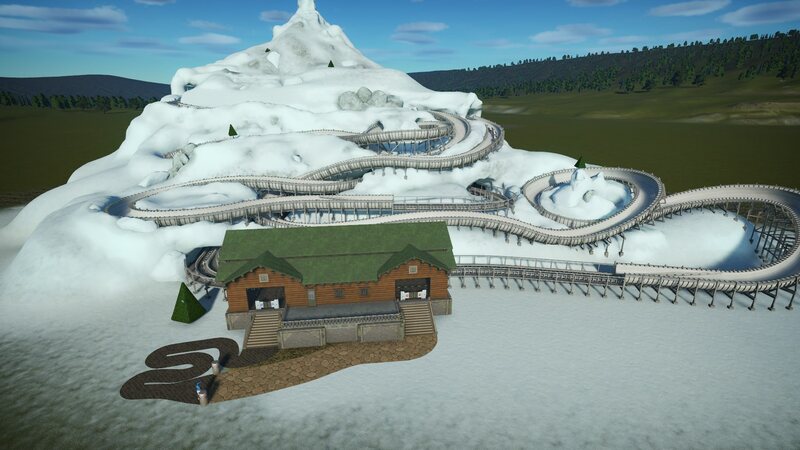 There are no standard shoot the chutes type ride in game and so I wanted a car wider than the flume and one that could use a much more natural looking drop. Out of all the vehicle type it came down to either Anubis or Barghest as the best options but I went with Anubis due to its lower profile and lap bar restraints. Thanks for the info! I've taken to forcing coasters to do things Frontier never intended so am always looking for tips like this . The Anubis also allows kids so it will do better business than if you'd used a Barghest. Looks great. @Tomes: It looks simple, but it's so realistic. I love it! The dry machine is very creative! Simply amazing!!! Your life size collection is absolutely stunning! And as you can guess, the ZL42 is my favourite! Thanks so much for building this! A must have in every travelling fair Planco park!!! You know I love this, man! Excellent work! What coaster is next? Thanks muchos, Fisherman and Redhair! I'm quite flattered by the praise this is getting, especially as it lacks any sort of station building . Since you are doing so great with those coasters, here that's a good website with lots of great travelling coasters http://www.roller-coaster.it/. Hahaha, I stumbled onto that website myself just yesterday, being redirected from pinfari.com. It's the home of Interpark, which not only makes its own coaster designs but also owns all the old Pinfari plans so will make them, too. I found several things on that site that look appealing. 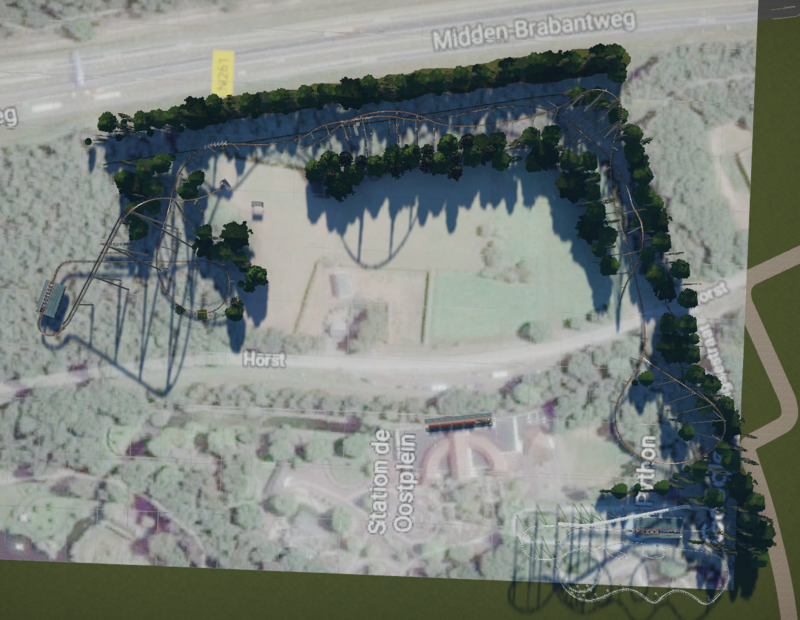 The best part about this site is that it gives the footprints so I don't have to guesstimate them off Google Maps, but it doesn't have many pics of any coaster, so I still have to mine RCDB for that. Anyway, the Pinfari RC70 (a relatively large double-looper), the Pinfari XP56 (a very small inverted), and the Interpark Wildwind (a medium-sized triangular-shaped thing with an Immelmann) all look doable. There's also Colossus the Fire Dragon, a portable Schwarzkopf with 2 loops. I'll see fiddle with all of these and see what I can do. Oh, and I plunked down Fisherman's excellent Hurricane beside some of mine. Damn, the quality of his supports totally blows my efforts away. He went into all the tiny little details of how the track attaches to the supports, which I usually gloss over to save on part count. But it sure looks great! I just committed horrible atrocities against coasterkind by wedging an innocent inverted coaster into a 20m x 44m x 10m space. But it was Pinfari's idea. I was just led astray by evil companions. The Efteling just bought some new land on the east side of the park, and they will be able to built 60m high there. 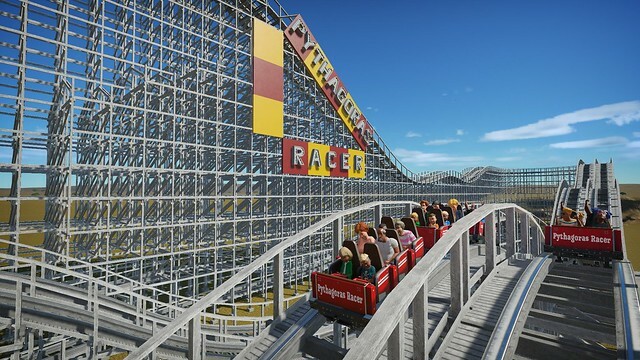 so my first thoughts where 60m B&M hyper. so this is the start of it, the layout is completed now I need to come up with a story and theme! I used a google maps images for the size and build a quick replica of the python to see how it could fit. 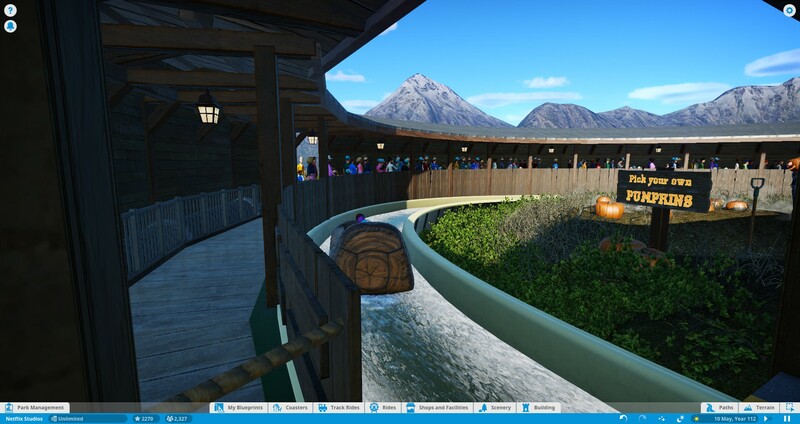 I decided to boot PC up again and work on my bobsled coaster. It's still rough, especially around the edges - the sides aren't nearly finished, I've barely touched the innards, the queue is a placeholder for while I'm still working on the station buiding - but I'm starting to like the way it's shaping up. From a ground-level view, it's even more obvious that the peak is way too narrow. Also, the station building's pretty high and it blocks a lot the ride - probably one of the better sight-lines, too. I might end up moving it. Of course a lot of the track's hidden just by the mountain, but some of the other rides and paths in this area should get a better view. 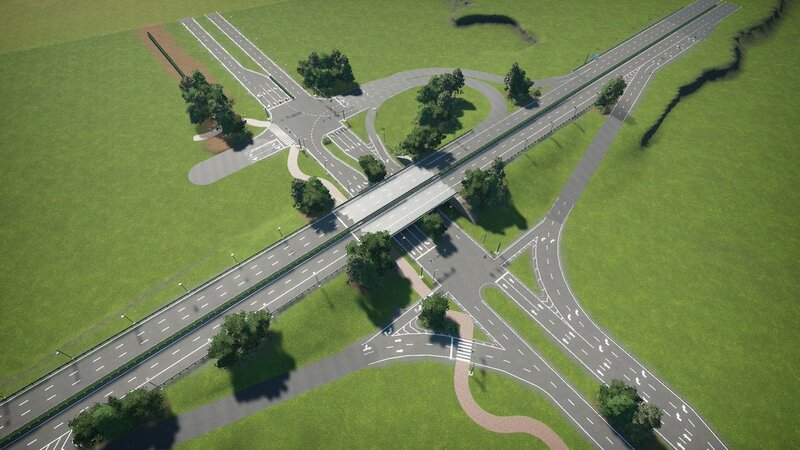 I've been working on a 'little' intersection for a new park. Most of the line work has been completed; just the on- and offramps and the rest of the highway and additional roads remain. VERY realistic, Blue Spirit! Is that a real place or your own creation carefully researched to meet the rules of how to lay out such intersections? Either way, quite impressive? 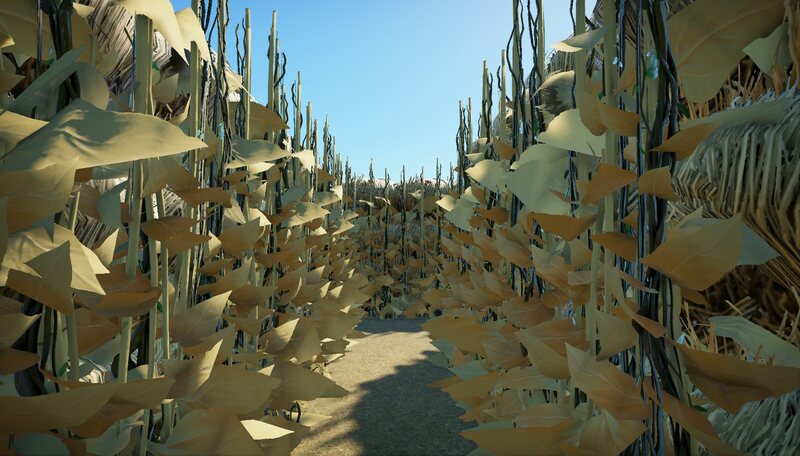 You just gave Planet Coaster a whole other dimension. Amazing! Amazing, BlueSpirit. 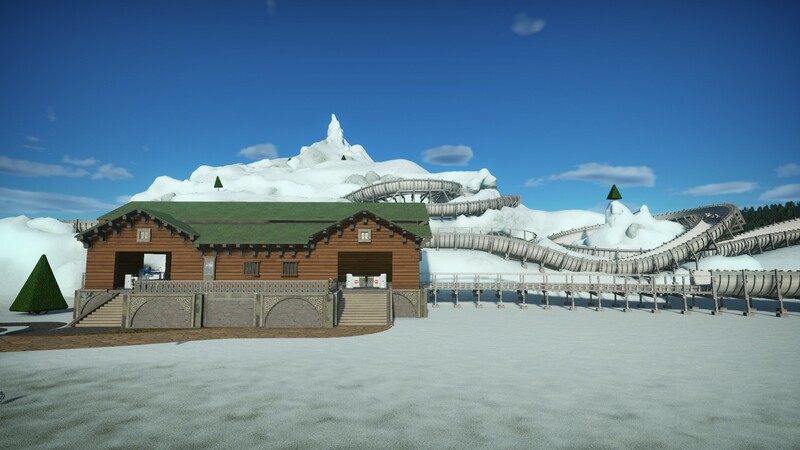 You should upoad just that to the workshop and then everybody can have super-realistic park entrances! I wanted to shoot a teaser video this weekend, not gonna happen. But here's a pretty picture. OMG JP that's BRILLIANT! 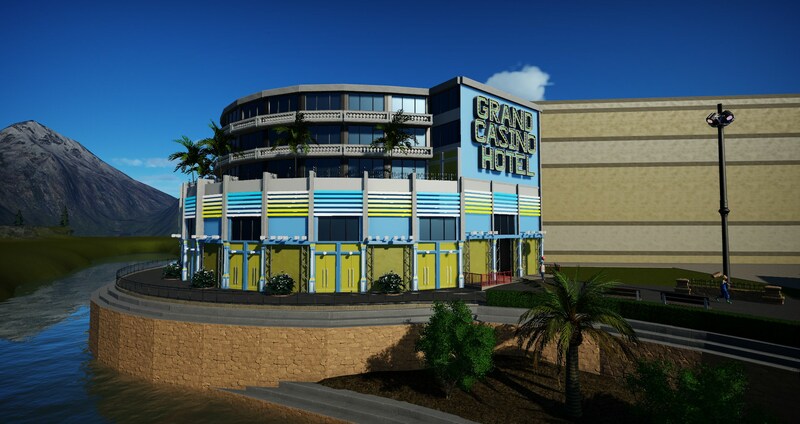 Yours and BlueSpirit's screenshots look like they came from Cities Skylines. 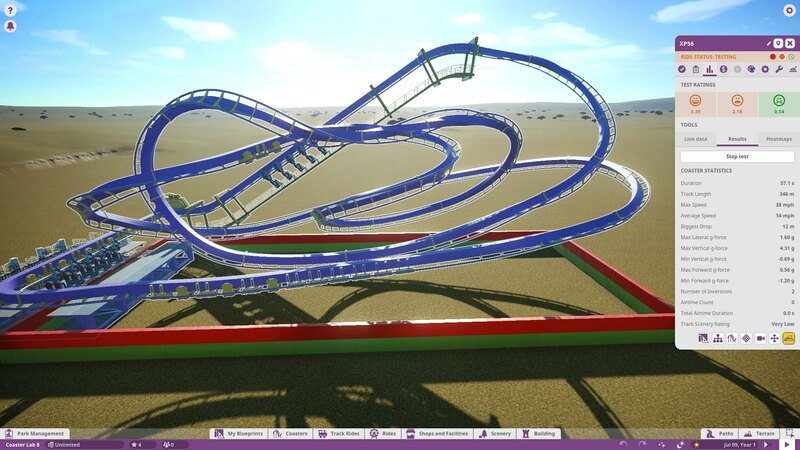 I extracted the finished version of the Pythagoras Racer quasi-Möbius coaster from my summer contest park, repainted it to be more normal, and uploaded it. 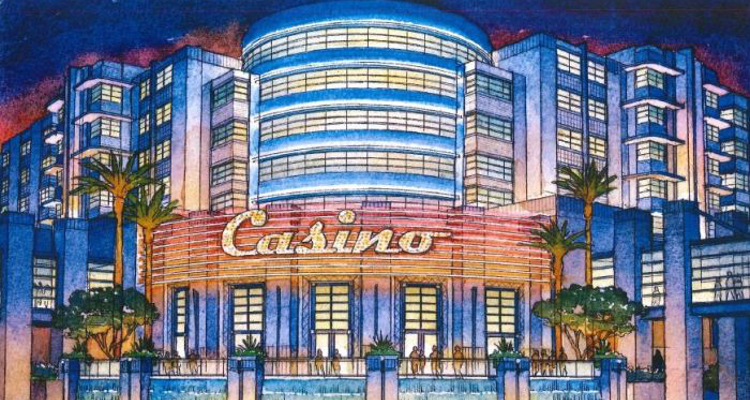 Interested parties may find it in the rides and blueprints sections. Your city looks incredible so far. Curious to see where you take it! 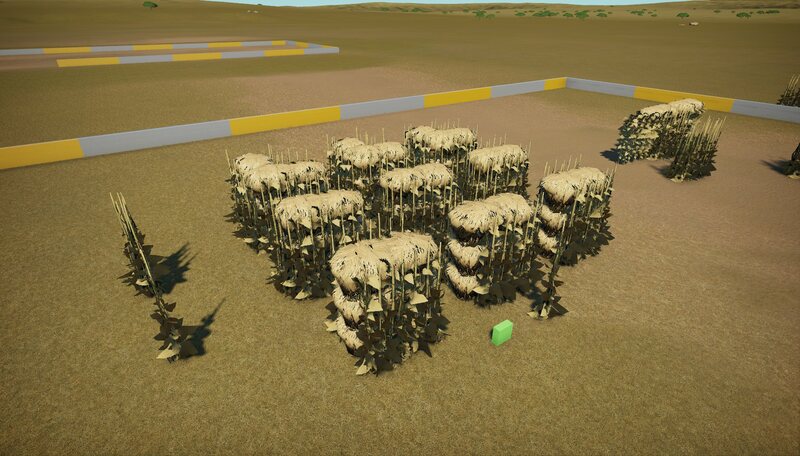 I was working on an idea for someone else on making corn for a corn maze. While they wound up going with something else, I figured I'd finish my idea and put it on the workshop in case any of y'all thought it'd be useful. Today've been working on a logflume. Pretty proud on the way the queue interacts with the ride.